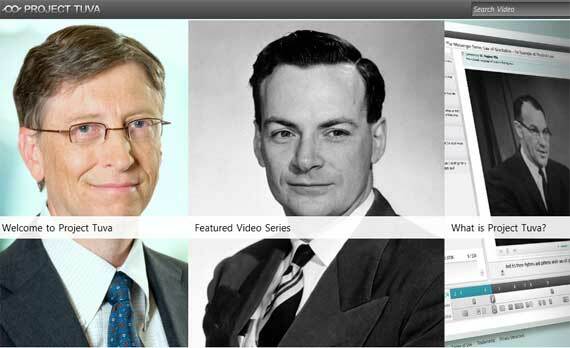 Bill Gates has bought the rights to Richard Feynman’s lectures, The Character of Physical Law, and has put them on the web with the help of the Microsoft Research team. The historic lectures with lots of annotations and related content can be seen at http://research.microsoft.com/tuva. Feynman was one of the most popular scientists of the 20th century, equally regarded for his scientific insights as well as his ability to convey his enthusiasm for science through his lectures and writings. He shared the Nobel Prize in Physics in 1965 and was also known for his quirky sense of humor and eccentric and wide-ranging interests. The name “Tuva” was chosen because of Feynman’s lifelong fascination with the small Russian republic of Tuva, located in the heart of Asia. Unfortunately, he was never allowed to travel to Tuva during his lifetime, with permission from the Russian government coming the day following his death.